Our fantastic volunteers are all part of our mission to do everything we possibly can to support young people. If you’re interested in supporting other young people, volunteering on our helpline or helping us develop new products and tools to help young people take a look at the variety of roles we have on offer below. Volunteer on our helpline from the comfort of your own home. You will provide essential support to young people via webchat. Open seven days a week. Join our Helpline team and volunteer on-site in London to provide support for young people via phone, webchat and email. Open seven days a week. Join our in-house counselling team to offer short term interventions to young people who might be accessing a counselling service for the first time. Become a moderator for our message boards by supporting young people, signposting and fostering community relations. Any time, any day across seven days a week. Join our relationships squad to support young people to have conversations about relationships and share different points of view. Available seven days a week. Are you young adult carer and want to be part of a program that aims to improve the wellbeing of young adult carers? We'd love to hear from you. Help run our nightly, live web chats to support young people in an online environment. We have regular chat workshops for 13-25 year olds. Want to make a difference to young people in an online community? Help oversee and contribute to our group support chat sessions. Open five five nights a week. 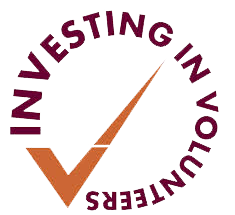 The Mix achieved the investing in Volunteers standard in January 2014 and was re-accredited in July 2018.